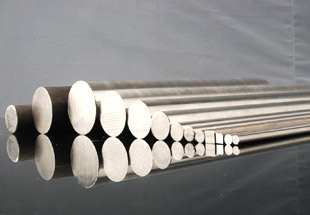 We are Prominent Supplier & Exporter of Alloy Steel Round Bars & Rods, Alloy Steel Hex Bars, Alloy Hollow Bars, Alloy Square Bars, Forged Bars Manufacturer in India. Neon Alloys is one of the most prominent Manufacturers, Suppliers and Exporters of a wide range of Alloy Steel Round Bars. These AS Bars, Rods & Wires are also being designed as per the specifications given by the client. They are also being manufactured by using excellent standard quality of steel forgings, which are consequently high in performance and durability. Highly appreciated for its durability, sturdy construction and tear-resistance, our range of Carbon & Alloy Round Bars is quality tested at ours and the vendors' premises. 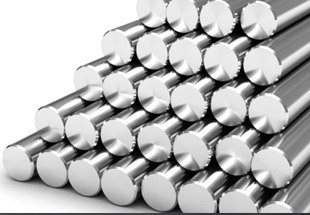 We offer qualitative these Alloy Steel Bars in different sizes and shapes that are being designed as per the national and international standard quality of raw materials. 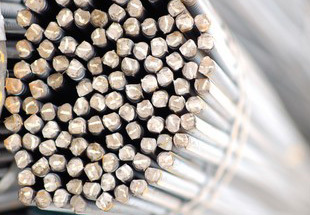 Our Alloy Steel Rods can be also offered in made to order length sizes and shapes. Stainless steel Round Bars Rods also finds application in architectural sector, namely for cladding, roofing and facades. Reinforcing bars are also made of stainless steel, owing to the corrosion resistance property again.Catalytic converters and exhaust systems in cars also use the alloy extensively. It is also forming a major part of the structure of the automobiles these days. 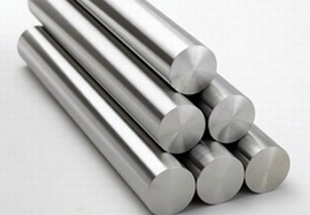 Alloy Steel Round Rods Manufacturers, Alloy Hexagonal Bars, Alloy Rods Exporters, Alloy Hollow Bars, Bright Bars Suppliers in India. Form Round/Square/ Hexagonal/ Rectangular Etc. Africa, Jordan, Germany, Canada, UAE, Egypt, Venezuela, Chine, Indonesia, UK, Algeria, Houston, Argentina, Dubai, Bahrain, Ethiopa, Malaysia, Ghana, Democratic Republic of the Congo, Tunisia, Iraq, Angola, Turkey, Iran, Colombia, Saudi Arabia, Cameroon, United States, Brazil, Trinidad and Tobago, Mozambique, Morocco, Australia, Kuwait, New Zealand, Mexico, Azerbaijan, Sri Lanka, Italy, Thailand (Bangkok), Russia, Sudan, London, Kazakhstan, South Africa, Nigeria, Israel, Peru, Uganda, Vietnam. Omdurman, Fez, Singapore, Accra, Rabat, Cairo, Abu Dhabi, Sharm el-Sheikh, Cairo, Data from the UN, Conakry, Kinshasa, Port Elizabeth, Dubai, Yaoundé, Hong Kong, Jeddah, Kolwezi, Ouagadougou, Ibadan, Cape Town, Benin, Casablanca, Bethlehem, Port Harcourt, Harare, Tehran, Alexandria, Kano, Istanbul, Johannesburg, Luanda, Bamako, Abidjan, Douala, Antananarivo, Jerusalem, Durban, Dakar, Mogadishu, Mecca, Dammam, Tripoli, Dar es Salaam, Algiers, Tel Aviv, Riyadh, Lagos, New York, Lusaka, Muscat, Amman, Freetown, Doha, Nairobi, Lubumbashi, Colombo, Bulawayo, Byblos, Mbuji-Mayi, Soweto, Brazzaville, Zaria, Beirut, Aqaba, Kaduna, Giza, Maputo, Subra al-Haymah, Addis Ababa, Pretoria, Maiduguri, Manama, Kampala, Khartoum.